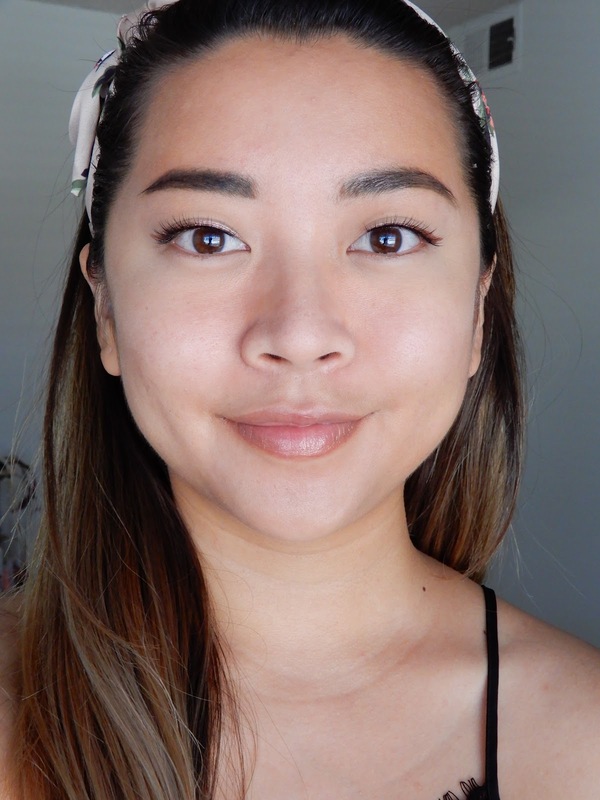 ESQIDO recently reached out to me to see if I wanted to try out one of their false lashes and I very happily agreed! I've started to experiment more with false lashes and so it was perfect timing. I ended up choosing the Peaches & Cream style from the Unisyn Lashes range for my free pair to test out and they also sent me the Companion Lash Glue. 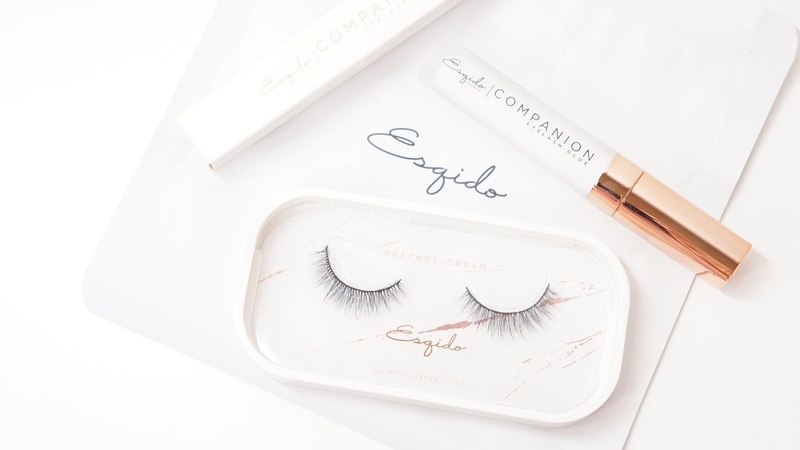 I first heard about ESQIDO's False Eyelashes a couple of years ago when Mink Lashes were all the rage and ESQIDO was often mentioned for having gorgeous Mink Lashes. Since then, they added the Unisyn Lashes which are all synthetic but still have that very natural tapered lash like Mink Lashes. The style I will be reviewing is Peaches & Cream and they retail for $22 here. 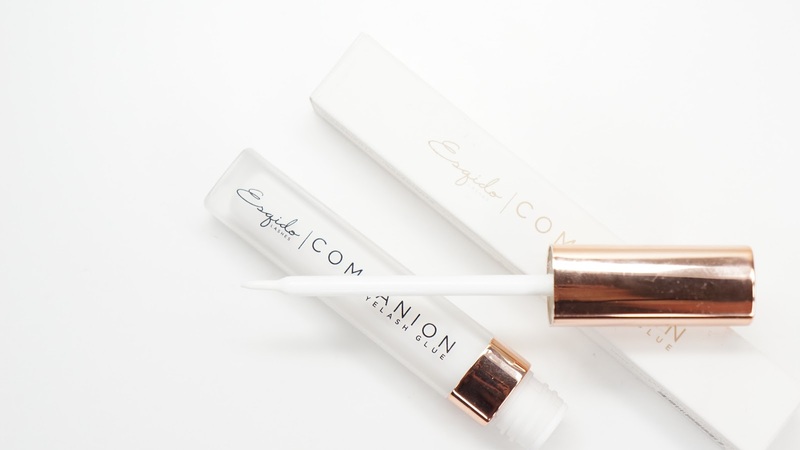 The Companion Eyelash Glue retails for $10 here and is latex free. 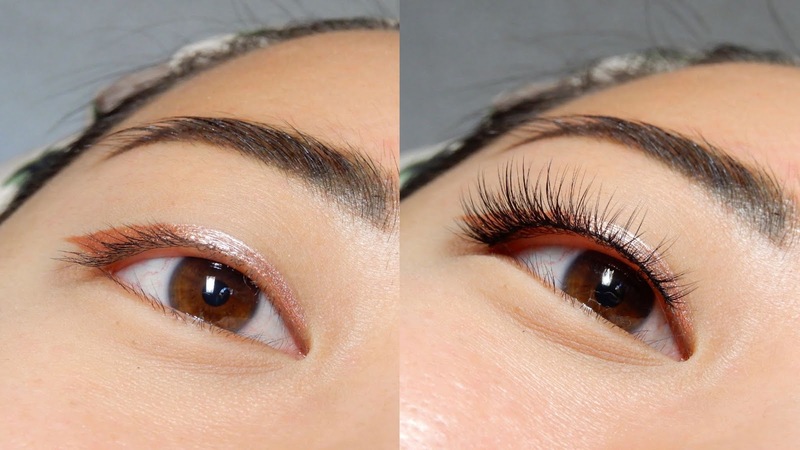 The Peaches & Cream lashes vary from 8-10 millimeters with the longer lashes focused in the center. With the way my lids and lashes hold up with the false lashes, they do look more tapered/winged out. The hairs are pretty thin, but I personally love that for natural looking lashes since they blend in so much better that way. There's some angling at the base for a bit of criss cross action to give the appearance of a thicker/fuller lash line. I personally like a clear lash band but with these, the lash band is black and so I feel like I need to wear black liner with them to make the lash line look more natural. I had to trim the lashes a bit since they were poking me in the inner corner and I could clearly see where the lash band ended and where my skin started. This is an easily fixable "problem," but I haven't worn liner in months and so it threw me off that I felt like I had to wear liner to also wear these lashes. Please excuse the gaps as well. I'm still learning how to apply false lashes, but also... it's not often I take pictures at this angle and so I'm giving myself a pass on this. Please excuse my super bold brows. I just did a brow tint the night before and so the pigment was very full on. I keep looking back at these pictures and I LOVE how these lashes look! Sure, I super wish that I had worn black eye liner but I'm so into how natural and wearable these lashes are. 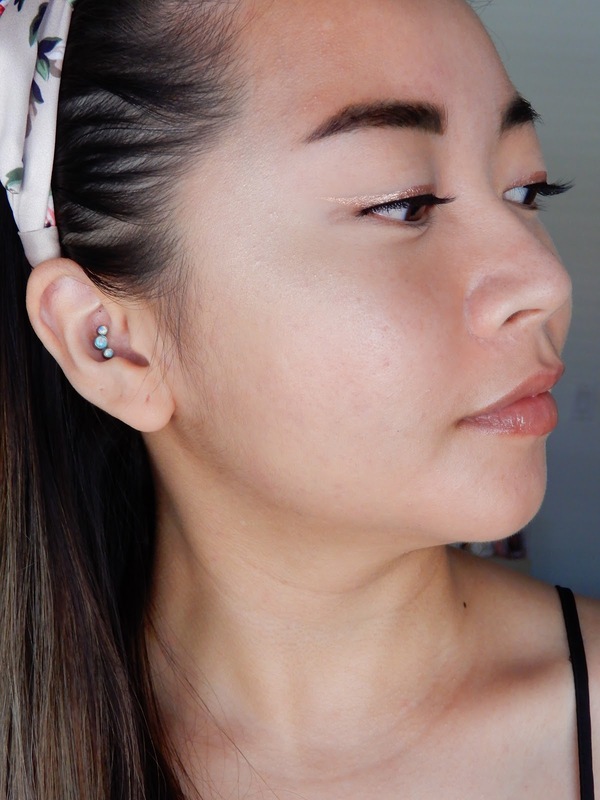 I don't wear false lashes that often in real life and so I had to plan some wear test days. On the first day, my eyes kept getting irritated but I didn't know if it was because of the lashes or the contact lenses. I realized that the inner corner of the lash band extended out a bit and it kept poking/irritating my eye. 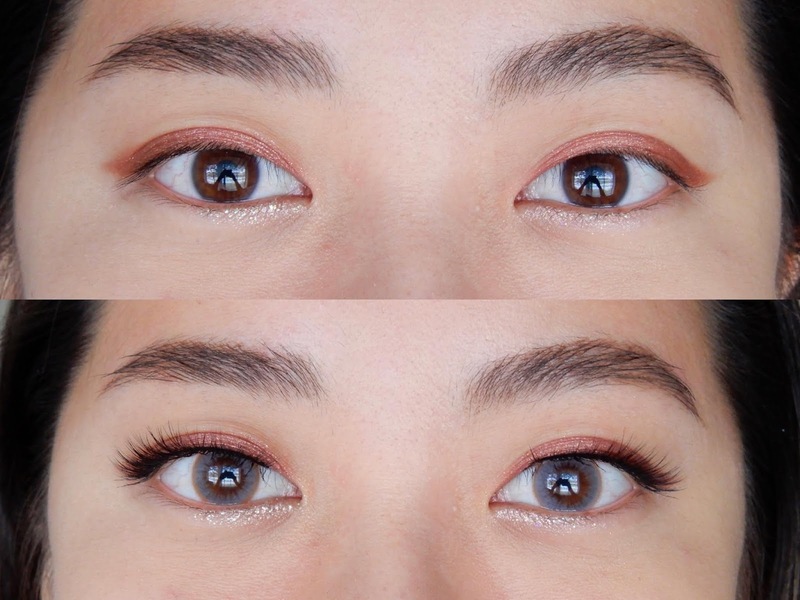 With my hooded lids, my inner corners usually has more folds and so that little extension would poke those folds. If you have more lid space or less folds than I do, it might not irritate you as much. The solution was super easy though and I just trimmed the lashes a bit more including that extension. I was able to do a second full wear test of about 8 hours perfectly! With the slight trimming and wearing just glasses instead of contacts, my eyes felt great considering I was wearing false lashes. I did feel the lash band on my lids especially when I blinked, but that's something you can't avoid with lash strips. I usually don't feel that slight discomfort when I'm wearing individual or triple lashes. I also wanted to include a side profile to show the curve and really, the beauty of these lashes. For the glue, I like it but I also don't have strong feelings about it. I like that it's latex-free and while it's usable for everyone, it's also a good formula for those with sensitive eyes (which I do have). It's a clear formula and it does take a while to turn completely clear but it does turn tacky pretty quickly. It's not super liquidy either and so it's pretty easy to brush a decent amount of glue onto the lash band. Because it's latex-free, it doesn't ball/bunch up like other glues I've tried. It's kind of hard to explain, but I thought it was interesting that it didn't peel off in large chunks and instead it felt like each bit of glue was latching onto the lash band individually for a stronger hold. Final thoughts: I think if I wore false lashes normally, I would very happily repurchase these lashes since they look so amazing and natural. They hold up pretty well especially considering the lashes are pretty wispy and thin (aka natural lash like). Since I don't wear false lashes that often in real life, the price tag is too high for me to continually purchase. Good thing is - I've seen ESQIDO have sales a couple times and so I'm going to continue to keep an eye out in case other styles I like are at a lower price. In the meantime, I'm going to keep wearing this pair until they've became super gross and are fallen apart. Since I'm not sensitive to latex, I didn't have strong feelings about the Companion Eyelash Glue. 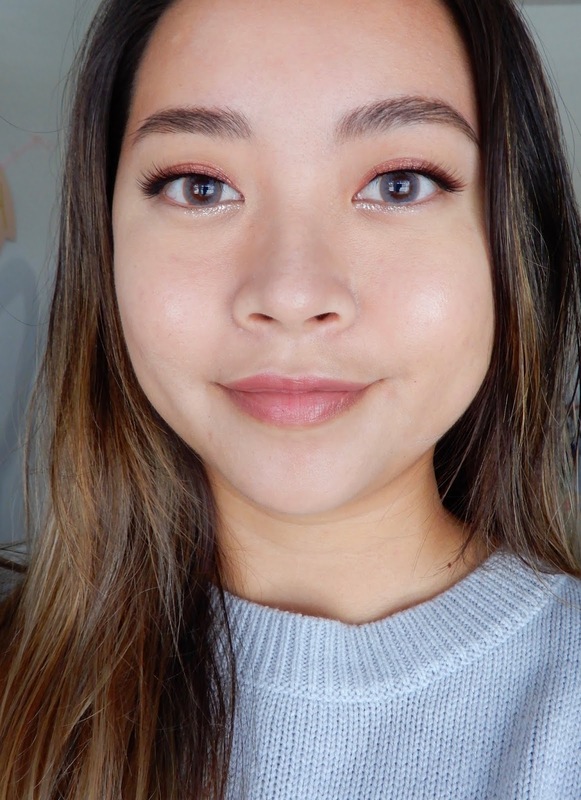 It's a bit harder for me to remove compared to the Duo Lash Glue, but I also feel like it really works at keeping the lashes on. * ESQIDO sent me the Peaches & Cream False Lashes and Companion Eyelash Glue for free to review. All thoughts are my own and 100% honest. Besides getting these two products for free, I was not paid for this review.